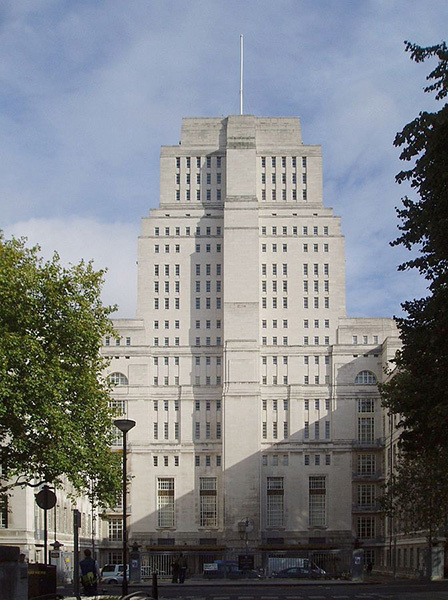 Senate House is the administrative centre of the University of London, situated in the heart of Bloomsbury. When the Art Deco building was completed in 1937 its 19 storey, 64m tower made it the second tallest building in London. St Paul’s Cathedral being the first. 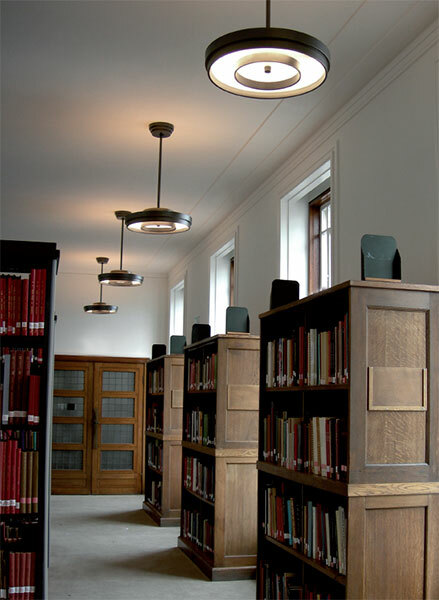 Combined uplighting and downlighting was a favoured lighting technique of the era and when the recent refurbishment of the building required new luminaires this method was used. 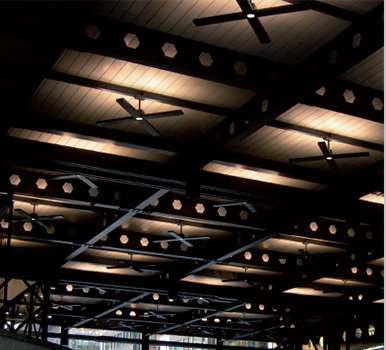 The aesthetic of the luminaire took on the feel of the building. 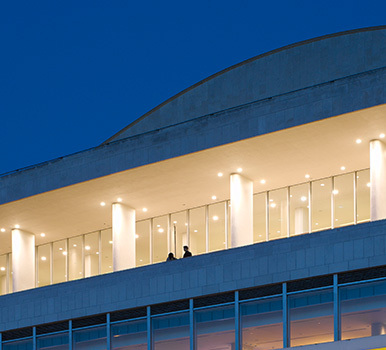 The resulting design included a step detail and ‘old penny bronze’ finish that mimicked the existing building’s features. 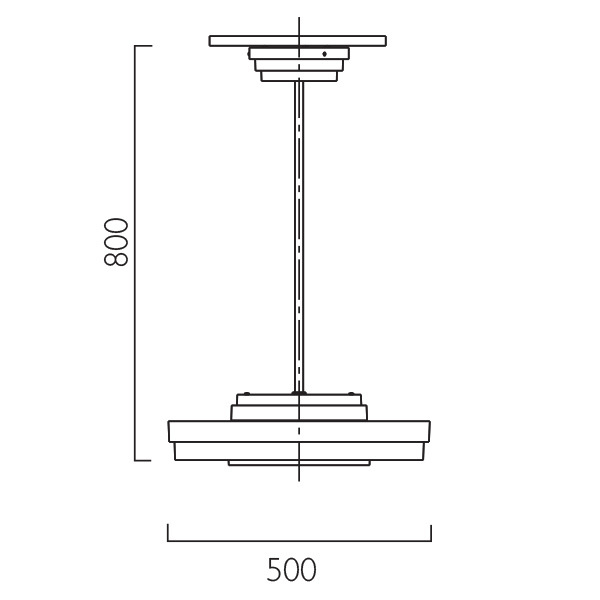 The microprism diffuser gives a low brightness appearance to the high lumen package circular fluorescent lamp incorporated in the luminaire.